A MAN implicated in the murder of his girlfriend’s husband confessed that he and his lover hatched a plan to kill Rudolf Rittmann in the hopes of getting inheritance money to pay for a fraud case in which both of them were implicated by their employer at the time. 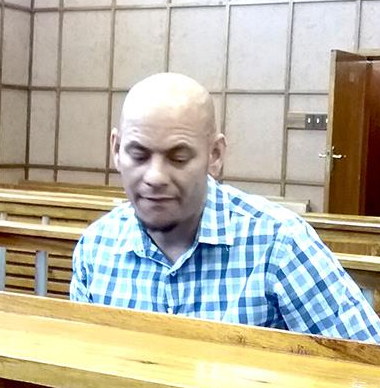 Ryno Du Preez,34, told the court that he had met Rachel Rittmann, 42, on Facebook in 2012 and soon after started having a secret love affair even though she was married to Rittmann. Du Preez was initially residing in Swakopmund and while she lived in Okahandja, but the lovers eventually moved in together. In 2013, the two were allegedly arrested for stealing from their employer. Du Preez’ testimony is that only Rachel appeared in court and was granted N$10 000 bail, which was paid by her husband. “I was madly in love with her and I was prepared to make her happy. With the inheritance money, we thought we’d settle the fraud case against us,” Du Preez told the court. On the night in question, the self-confessed killer said that he was instructed by Rachel to enter the house after she dosed her husband with sleeping pills. She left the gate unlocked for him to enter the house. 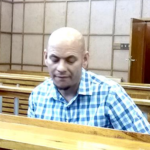 Du Preez maintains that he was shocked to discover that the pills did not work and Rittmann woke up when the suspects tried to tie his ankles together. He then reportedly stabbed the deceased several times with a kitchen knife that he claims was given to him by Rachel. Rachel and Du Preez then loaded the body into a pick-up truck, strapped him in the seat with the safety belt and set the car on fire before pushing it to roll down an embankment. “I watched the car roll off into a fence. All this was aimed at concealing the killing and making it seem like he had an accident. I had bought two sim cards to communicate with Rachel and to facilitate the murder. She too purchased another phone to conceal our communication regarding the murder. After Rudolf died, we kept in constant contact,” Du Preez said. An Old Mutual Financial Advisor from Gobabis, Seretse Olibile testified in court that Rittmann had previously made Rachel the sole benefactor to his policy. When they separated in 2012, he removed her as a beneficiary. In 2013 when they got back together, the couple opted for a combined will and testament.